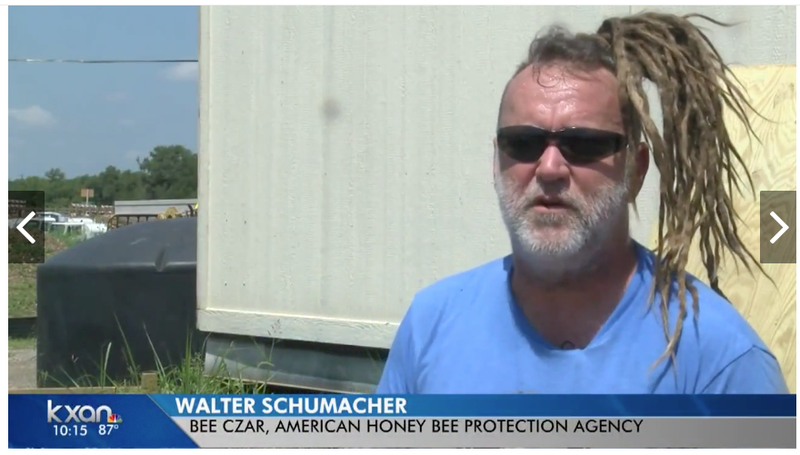 AUSTIN (KXAN) — Walter Schumacher, bee czar with American Honey Bee Protection Agency, is trying to save honey bees, critical for food crop production. Schumacher says he also hopes lawmakers will consider forming what he calls a “comprehensive bee program” which would require cities to help relocate honey bees, as well as teach beekeepers about how to stay safe during the process. “Honeybees, as much as gasoline or fossil fuels, are a natural resource and so they should be treated like a natural resource, instead of an ‘oh that’s a nuisance, that’s a problem,'” he said.